Mollusks have been around for so long (at least 500 million years), are so prevalent on land and in water (from backyard gardens to the deep ocean), and are so valuable to people (clam chowder, oysters on the half shell) that one might assume scientists had learned everything about them. "Here's this big, diverse group of animals, and we don't know how they were related to each other," said Casey Dunn, an evolutionary biologist at Brown University who specializes in building evolutionary trees. Some branches were well known, Dunn said, "but what we really lacked was a breadth of sampling." In a paper in Nature, researchers from Brown and collaborating institutions have pieced together the most comprehensive phylogeny -- evolutionary tree -- for mollusks. To perform that feat, the team collected hard-to-find specimens through a global sampling effort, including a group of organisms thought until recently to be extinct for millions of years. The team then sequenced thousands of genes from the specimens and matched them up through intensive computational analyses involving the supercomputer at Brown, which the University installed in 2009. The result: The mollusk phylogeny is now "resolved at a broad scale," said Dunn, assistant professor of biology in the Department of Ecology and Evolutionary Biology and the paper's corresponding author. 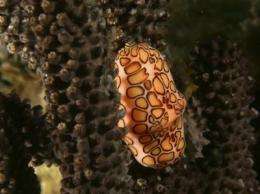 The study is noteworthy also because it is the first to place Monoplacophora, the mysterious group of deep-ocean animals that superficially resemble limpets. Scientists had thought the group was extinct until a specimen was caught in 1952 off the coast of Mexico. An expedition in 2007 led by Nerida Wilson, now at the Australian Museum and an author on the current paper, secured a few monoplacophorans off the coast of California. The team extracted the genetic material -- in a one-time-only attempt performed by then-Brown undergraduate Caitlin Feehery -- to obtain the genetic signatures needed to determine how monoplacophorans fit into the mollusk family tree. The result was surprising: monoplacophorans are a sister clade to cephalopods, which encompasses octopuses, squid, and nautiluses. "Cephalopods are so different from all other mollusks, it was very difficult to understand what they are related to. They don't fit in with the rest," Dunn said. "Now, we have a situation where two of the most enigmatic groups within the mollusks turn out to be sister groups." In an interesting twist, paleontologists had described the monoplacophoran-cephalopod relationship in the 1970s, resting their claim on evidence that the oldest cephalopods and fossilized monoplacophorans each had chambered shells. Modern-day monoplacophorans still carry shells but no longer have chambers. "When we came in with this genome-level data, we ended up resurrecting this old hypothesis from paleontology," Dunn said. The results from the genetic analysis show the paleontologists were right. By establishing the close evolutionary relationship between monoplacophorans and cephalopods, the researchers say they have squarely answered the question of a single origin for shelled mollusks. That ancestor species is not known, but the group is confident that monoplacophorans and cephalopods share more in common, evolutionary speaking, with shelled mollusks than with the non-shelled groups aplacophora and polyplacophora. "What we found is these worm-like mollusks (aplacophora) and chitons (polyplacophora) are more closely related to each other, and they diverged prior to the origin of the shell," Dunn said. "They are mollusks, but they formed this group that split off before shells came along." In all, the team collected specimens for 15 species. Researchers at Brown and Harvard University sequenced hundreds of thousands of gene sequences and compared those genetic sequences with what is known about the genetic makeup of other species throughout the mollusk tree. "We are trying to understand how these species are related, their evolutionary relationships. We do this by analyzing the conserved parts of their genomes and constructing an evolutionary tree," said Stephen Smith, a postdoctoral researcher at Brown and the paper's first author, who designed the genetic computational analysis.